The Department of Social Services is committed to supporting the needs and recovery efforts of individuals and families impacted by flooding. The Department of Social Services strongly encourages anyone who suspects child abuse or neglect to call our toll-free hotline at 1-800-392-3738. The Missouri Child Abuse and Neglect Hotline is answered 24-hours a day, every day, all year round. Family Support Division Resource Centers are located in every county of Missouri and have staff trained to provide assistance and to guide you to other local resources for help. What to do if your EBT Card is lost, stolen or damaged? If your card is lost, stolen or damaged, please call 800-997-7777 to cancel your card or the FSD Information Center toll free at 855-FSD-INFO (855-373-4636). A replacement will be mailed to you upon reporting that your card has been lost, stolen or damaged. Families needing assistance in locating child care services should contact Child Care Aware of Missouri – 1-866-892-3228 or http://mo.childcareaware.org/parents-families/find-quality-child-care/ to receive help from a referral specialist. Families receiving child care assistance through the Family Support Division and need to change authorized provider or the amount of child care authorized should contact the Family Support Division at 855-FSD-INFO (855-373-4636). Prescription claims approval during catastrophic emergencies. 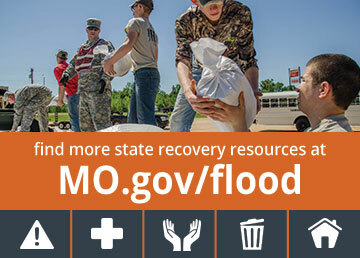 To ensure prompt assistance, indicate the services requested are for a participant who has been impacted by flooding. A call to United Way 211 connects you to a wide-range of resources at any time, day or night.